Avail from us highly durable Spring Steel Wire Mesh. Our Spring Steel Wire Mesh is precisely designed by the skilled engineers using premium metal material. It is used in chemical, cement, and coal industries for filtering and screening media. 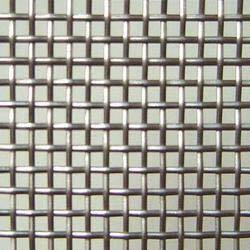 We provide Spring Steel Wire Mesh in variegated wire thickness, aperture size and weaving.